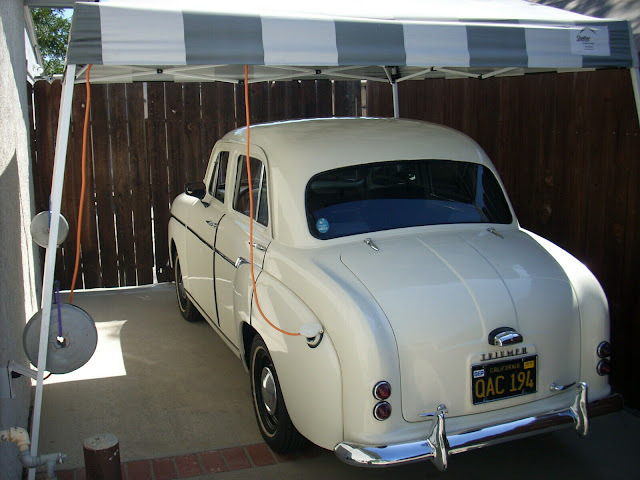 The Saab 96 is on DT's short list of interesting cars to own because it is stylish (okay, it isn't a Ferrari Daytona, but it isn't a Camry either...), fun to drive (I didn't say fast...just fun), simple to maintain/repair, and (most importantly) inexpensive. 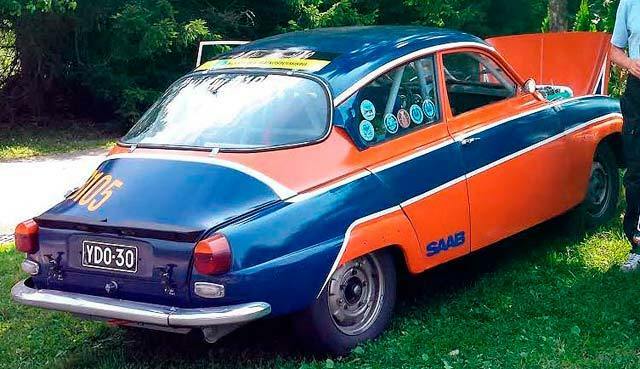 You won't find the 96 or any other Saab selling for six figures at some fancy auction, but if you want to drive something extraordinary, the 96 delivers. Find this 1969 Saab 96 Rallycar offered for 7,900€ ($8,923 USD) in Nokia Finland via nettiauto.com. Tip from Kaibeezy. 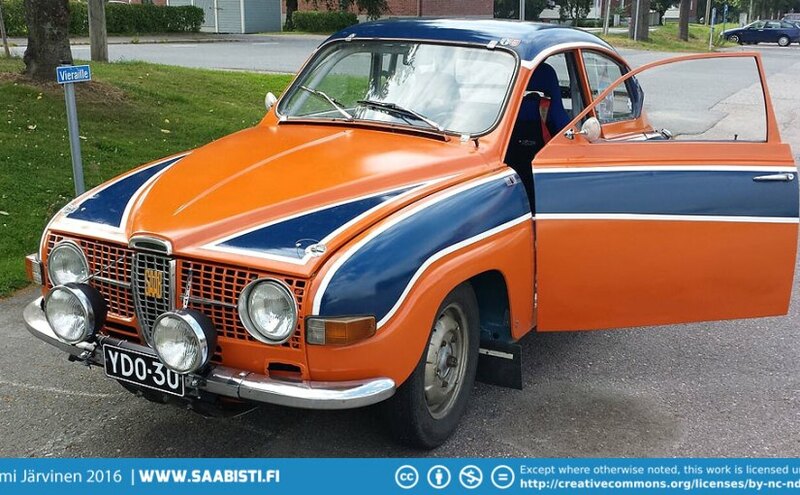 The classified advertisement is in Finnish, but the seller has an English language description and build thread here on saabisti.fi. The 96 has a documented rally history from the 1970s and has had its Denver Broncos paint scheme refreshed a few years ago. 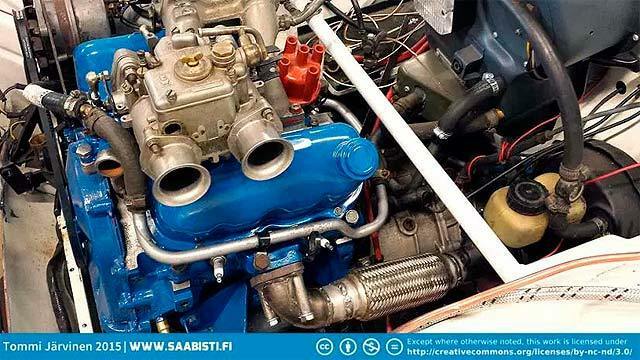 Propelling this little rock launcher forward is a compact 1.8 liter Ford V4 engine that features SOHC/Pinto pistons, and a crazy looking cross flow intake with twin Weber 40 DCOE carbs. It should make for a screamer of a little engine. 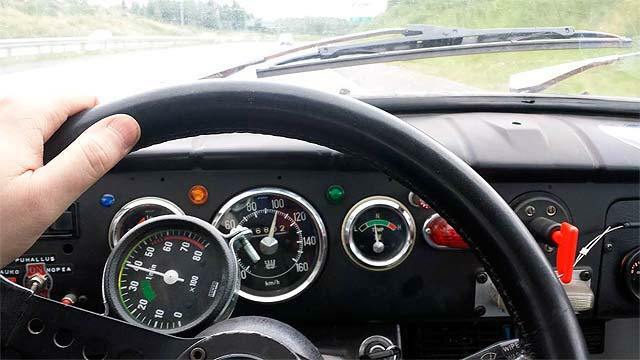 The interior is all business and features a roll cage and various racer bits like the big battery cutoff key-switch, racing seats and harness. These things love being sideways on dirt roads. Two 96's in a row have me all giddy. The image of the sidedraft Weber is worth a good chunk of change. I had triple webers on a TR6 and I opened the hood just to look at it. Never got old, but the massive rust on the rear sub-frame did. Looks more like like a Dutch Prince of Orange flag, New York City Flag and world's fair, or New York Mets color scheme. They are all the same. I know that some people run cars without aircleaners* , but what happened to the spark plug wires?